Action Auto Insurance Agency Inc. When it comes to covering your vehicle, it can be overwhelming to determine which auto insurance policy is best for your needs and budget. While most drivers only purchase car insurance that covers a car wreck or collision, comprehensive insurance takes it a step beyond that. If you’re unsure about what this type of policy covers or who needs it, the team at Action Auto insurance Agency Inc. wants to keep you informed. What Is Comprehensive Auto Insurance Coverage? 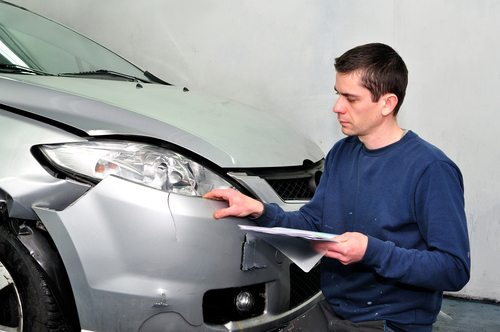 This particular car insurance covers damage beyond a collision, such as a car wreck. This is needed to cover for theft if someone breaks in and steals your vehicle, fire damage, or even natural disasters. Additionally, if an animal hits your car—imagine a deer running in front of you and totaling the car—this is where comprehensive auto insurance kicks in. Other examples include vandalism, falling objects, and damage resulting from a civil disturbance. What’s important to keep in mind is that this does not cover a collision car wreck or medical expenses involved. Most people tack on this policy to provide a little extra cushion in case something happens. No one can predict theft or a natural disaster, but both can happen to anyone when they least expect it. This policy is great if you want more peace of mind knowing your automobile is covered in every situation. It’s also usually required if you’re leasing a car. Just like a collision policy, you can select the deductible and monthly rate that best fits your budget and needs. If you’re searching for auto insurance in the New London, CT, area, trust the team at Action Auto Insurance Agency Inc. to help. With more than 20 years of experience helping the community with their insurance needs, from auto to boat and motorcycle insurance, the agents are well-equipped to help you find the best coverage option for your needs and budget. To learn more about the services the team offers, visit them online or call (860) 444-7224 to set up a consultation. Other Announcements, Events and Deals from Action Auto Insurance Agency Inc.
What Are HOA Master Policies? A. Action Auto Insurance Agency Inc.